Description: Concepte of Illinois will be celebrating the opening of their new location in Marion on December 12th at Noon. Join us as we welcome them to our city and business community! 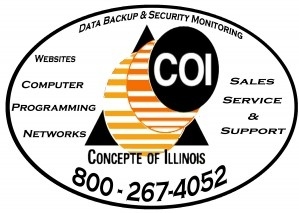 Details: In 1983 Concepte of Illinois began providing services for computer and network systems. Over the years we have expanded our services to include programming, anti-virus protection, data security and backup services. We provide network design, layout service as well as equipment sales with installation and setup. When everything is in place, we provide you with support to make sure of continued success. Our mission is to help you meet tomorrow’s requirements – today, and be there for you each step of the way. Our slogan “Service & Support You Can Trust” is our mantra that we stand behind 100%. In 2001 we moved from Carbondale to Benton to place ourselves closer to clients and now we are expanding to Marion to provide our Williamson County clients quicker response.